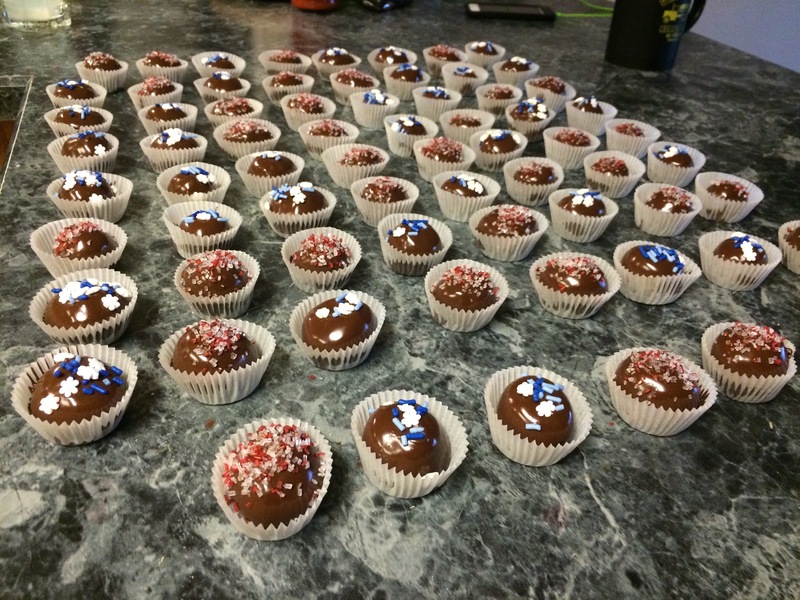 I finished up the peanut butter balls. I love peanut butter balls with rice krispies in them. I just do. My family not so much. Which left more than plenty for me to eat. I will tell you that for the dipping chocolate I used the leftover chocolate from the coconut balls. 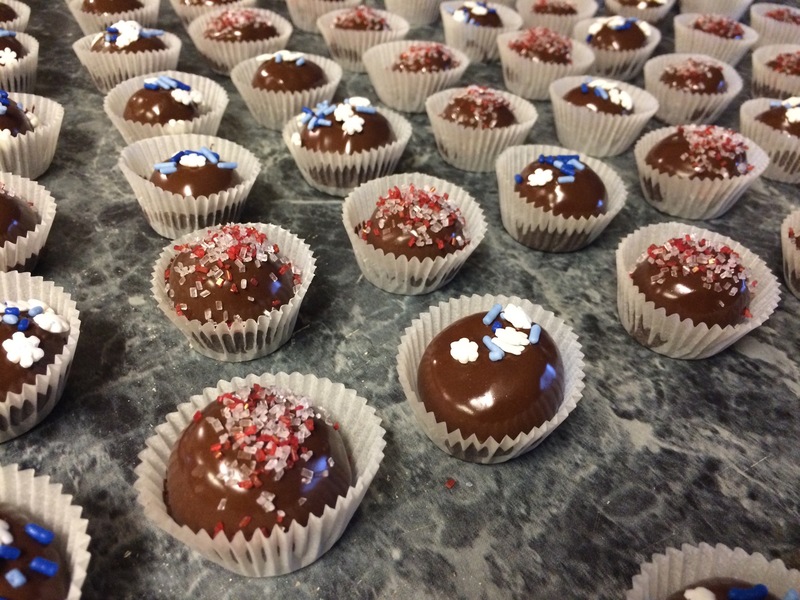 I made so much that I had more than plenty do handle both the coconut balls and the PB balls and still have to throw out a little. Melt peanut butter and butter in saucepan, over low heat. In large bowl, mix crispy rice cereal and confectioners’ sugar well. Pour melted peanut butter and butter over cereal and sugar and blend together thoroughly. Put into the fridge overnight. Scoop with a small cookie scoop and roll into balls. Using a toothpick dip them into your favorite chocolate dipping recipe. Place in mini muffin wrappers and top with sprinkles to hide the hole the toothpick leaves. Peanut Butter Balls These turned out so good. I can’t wait to make them again. Previous Article Who’s Ready for Coconut Balls? Oh my gosh please do!